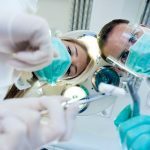 Most people don’t grasp the importance of an emergency dentist, Santa Clarita until they break their tooth in the middle of the night and have to search the web for local 24-hour clinics frantically. Having prior information including the contacts of the emergency dentist office will help you when a dental emergency rears its ugly head. 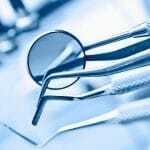 Who requires emergency dental services? 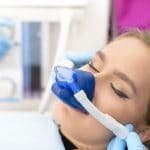 A number of situations can make one a candidate for emergency dental services, but most of the time it all comes down to trauma. Broken and chipped teeth are a leading cause for emergency services and are usually a result of sports injuries and more seldom, automobile injuries. In the event of a broken tooth, you should put the broken part in milk for up to an hour as you seek medical attention. Other times, the whole tooth could be knocked out, and you should see an emergency dentist Santa Clarita specialist so that the remaining tooth root can be removed. 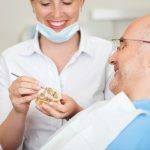 Toothaches and cheek or tongue injuries can be treated at an emergency dental clinic as well as loose teeth and abscess, which might be a sign of an infection. Basically, all emergency procedures involve treatments that can and need to, be done immediately. Cases that might get worse if not addressed, e.g., tongue injuries, infections, etc. should be treated by an emergency dentist. 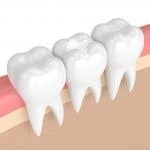 Pain relief is also of prime importance in emergency situations such as toothaches and fall under emergency dentistry. The dentist will also address issues concerning the stability of teeth. Typical emergency dental services include; addressing swelling or pain in wisdom teeth, dental injuries, and toothaches, emergency dental fillings, emergency extraction, repairing fractured, chipped or broken teeth, displaced or broken braces and treating infections and gum abscess. It is highly recommended to visit an emergency dentist in cases where the longer the situation remains untreated, the worse the consequences. At Smile Care Valencia we always insist on the importance of addressing some issues as soon as they come up. A tooth infection is the first in this category and for a good reason too. Tooth infections that remain untreated result in a dental abscess. An abscess can then settle at the bottom of the mouth and gums causing pain and increasing the risk of gum disease. Gum disease further worsens the situation by causing the gums to peel back and expose the tooth root. This weakens the teeth and if left for long enough could lead to teeth loss. 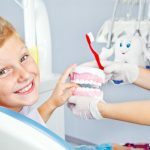 Therefore, one should visit an emergency dentist Santa Clarita for cases of infection and chipped teeth that could expose the dentine to infection.